When visiting Vail, Colorado, you are surrounded not only by the natural wonders of the Rockies, but also by a variety of sculptures and pieces of art presented by the Art in Public Places program. Check the calendar for upcoming events and exhibits. Vail’s Art in Public Places program is a cultural program that assembles works of art and displays them in public places so residents and visitors alike can enjoy their aesthetic beauty. 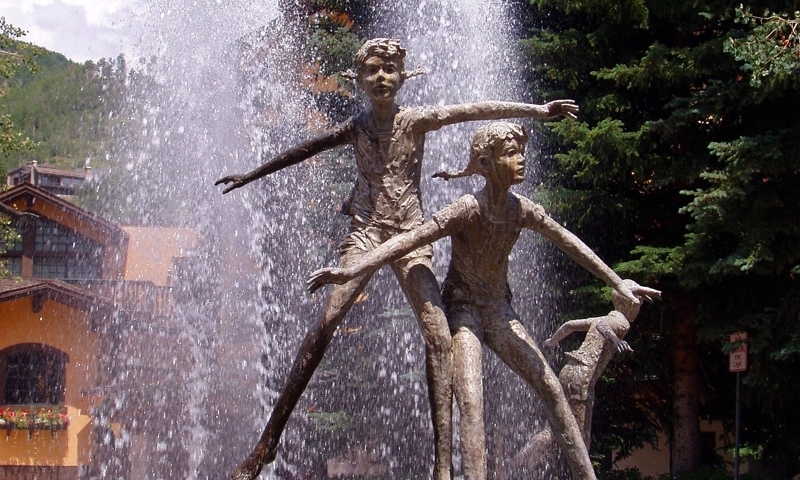 Vail, Colorado is filled with the art of the Art in Public Places. You'll see art in the parks, side streets, parking structures, playgrounds and pavilions. Art in Public Places is always available, no matter the time of year. You can contact them at 970-479-2344 to get a copy for the current season schedule of tours, art shows and other events. Check out the Art in Public Places website for more information. The Art in Public Places program sponsors many pieces of art that decorate the town. In Ford Park, Bighorn Park, Donovan Park and the Donovan Pavilion, you can view steel and granite sculptures, carved wood designs, stamped concrete, a number of artistic bronze sculptures and much more. Public art exhibitions change annually. Connect with travelers planning a visit to Vail Colorado.